Ravenously shot with a colorful palette and an endless, hedonistic Happy Hour mindset, The Beach Bum follows a creative type who’s a lush and a druggie. He’s a has been poet who happily self-identifies as a bottom-feeder. He’s a wealthy vagabond who finds rhyme and reason and reassurance through the arrhythmic beat of his habitually stoned heart. And he is a grown man and a vagrant who guzzles PBR like a baby sucking away at a bottle, as well as a piss-poor sailor mapping the hardest, most interesting route through a life lived without much heed. The Beach Bum has sand in all of its cracks, on the soles of its feet, is a film that’s alive even when it’s stagnant, and it’s best when it carries those grains without feeling the need to brush them off or rinse them away. 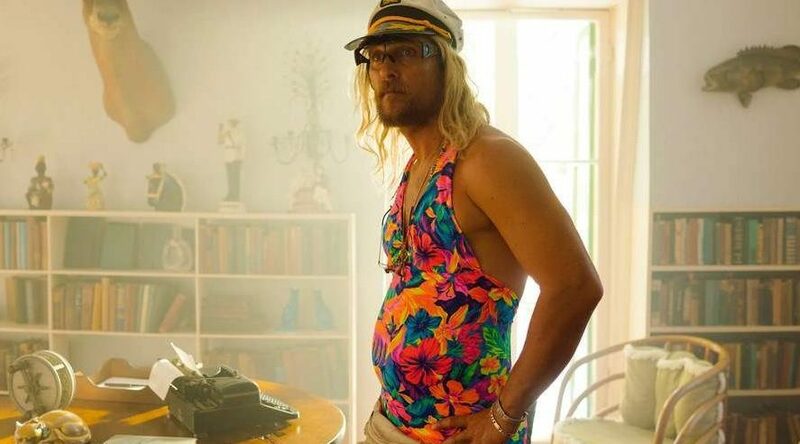 We never exactly know Moondog (Matthew McConaughey) and yet he’s the massive star of his own miniature galaxy, the life-source from which others temporarily siphon their energy. His Southern speaking agent Lewis (Jonah Hill) requests more work during another routine round of poorly played golf, during which Moondog putts worse than Happy Gilmore. Moondog’s good friend Lingerie (Snoop Dogg) has a marijuana empire, and plans to emcee Heather’s (Stefania LaVie Owen) wedding. She’s the daughter of this drunkard and the rich Minnie (Isla Fisher), a blistering and bright redhead who loves her Moondog but sleeps with “Rie” while her hubby is floundering around with the seas and the tides, chumming about for women and inspiration. The Beach Bum might look like a fun film, which it is, but it’s also a sun-splotched drama. One where the 5 O’Clock cocktail hour runs on repeat. Many people will be pulled in quite easily and I imagine some will even idolize this caricature, maybe even dress as him during Halloween. Moondog knows how to woo the crowd; that’s part of, if not fundamental to, his persona as a basic Florida barfly with a Nobel Laureate’s lauded recognition. The breeze carries him, guides him, charts his course with no particular destination in sight. Not all movies need to have a standard three act structure, let alone much of a plot. 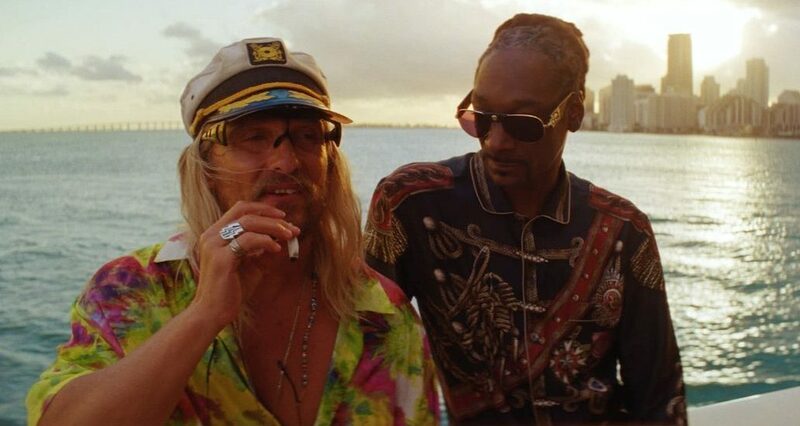 The Beach Bum is one of those movies, and most of the inconsistencies occur when Harmony Korine’s picture warbles between nonsense and conventionality. A big dramatic moment doesn’t hit. Moondog’s brief stint in rehab with Flicker (Zac Efron), who looks like a Four Loko drink and an Ed Hardy Tee advertisement in the human form, has personality but little purpose. And Moondog’s time at sea with amateur dolphin guide Captain Wack (Martin Lawrence) hobbles along, to say the very least. But that’s what the movie is trying to do. That’s how we’re supposed to feel about the things it purports to be about. 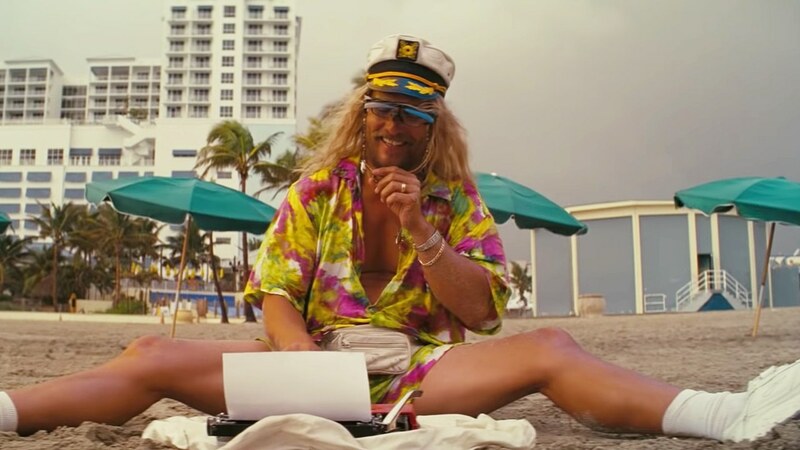 Korine channels Moondog by trying to disprove Hemingway’s famous, “write dunk, edit sober” adage, ultimately to an enlightening and freeing effect. 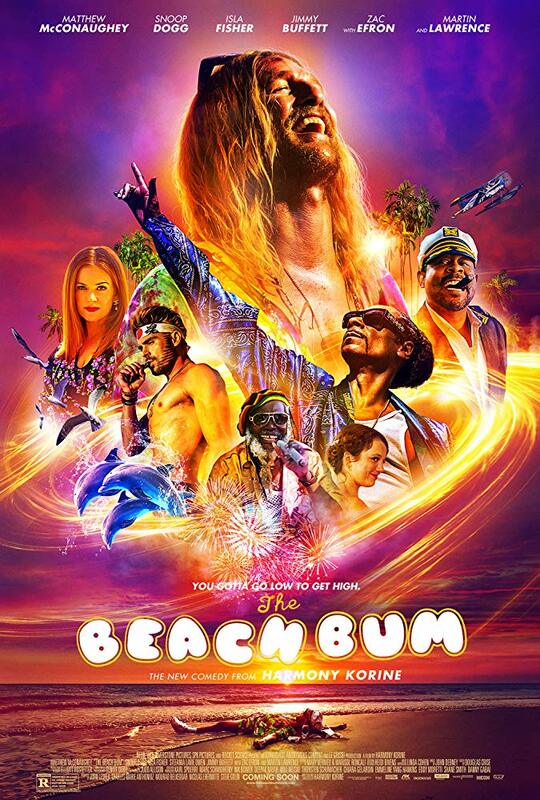 The Beach Bum doesn’t make complete sense as a film, nor does this neon tinted, heartfelt, nondescript anti-hero’s journey. It is what it is. Take it or leave it. I honestly didn’t like The Beach Bum but I kept thinking about it, so I saw the film again. My eyes were opened during the second viewing. There’s brilliance on display here, both in front of and behind the camera. Matthew McConaughey, looking like a grown, once rejected male Coppertone baby model who ran with the wrong crowd during high school, crunches cans to mark his trail and is as careless with his bindle as he is with piles of cash. And Harmony Korine’s disruptive film might seem a bit absurdist, maybe even a little too postmodern for its own good, but there’s also meaning to be found. Moondog abides by the same delirious traditions as Charles Bukowski, The Dude and Monsieur Hulot. And despite all the madness and the chaos in The Beach Bum, Moondog raises his glass and lifts his gaze to let Mother Nature caress his face, inducing a joyous sense of euphoria. So does the film. Let this dirty movie wash over you, and then consider a bath, or preferably a hot shower.